The future safety and emission norms would require the addition of new tech on existing products and one of the leading names in the industry to offer solutions is Bosch’s Two-Wheeler & Powersports Business Unit. At a recently held press conference in Delhi, Bosch displayed its products that would help manufacturers to comply with safety and emission norms. On the safety front, Bosch is offering a three-step concept to reduce the number of road accidents. The first step towards the reduced crashes comes in the form of ABS or motorcycle stability control (MSC). As many as 1/3rd of motorcycle accidents with injuries could be avoided with the use of ABS. The second step involves predictive safety and comfort functions with advanced rider assistance systems while the third stage consists of connecting the bike with its environment through motorcycle-to-vehicle communication. ABS and MSC technologies have been implemented while the company has introduced its first advanced rider assistance systems for motorcycles, comprising adaptive cruise control, forward collision warning, and blind-spot detection. These electronic assistants are claimed to respond faster than people and could prevent one in seven motorcycle accidents. 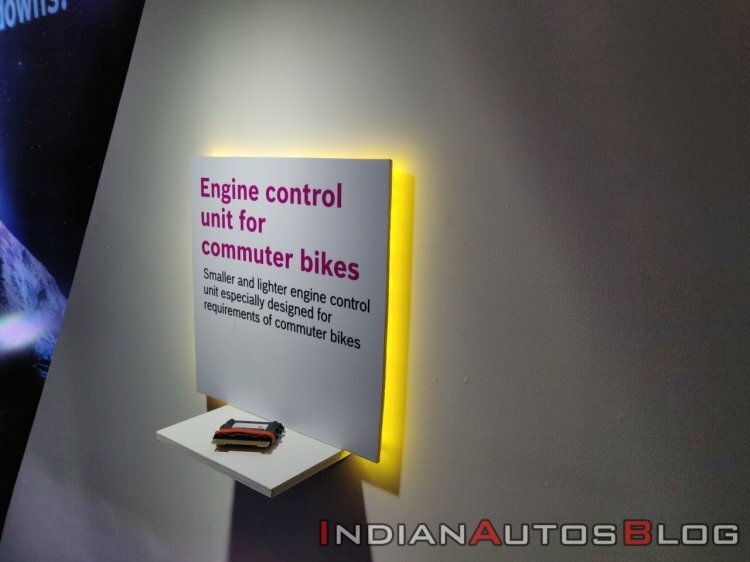 The technology underpinning these systems includes radar sensor, brake system, engine management, and human-machine interface and it would arrive in the market with Ducati and KTM in 2020. Electronic engine management systems have shown a considerable increase in efficiency compared to conventional carburettor systems and can reduce CO2 emissions by up to 16% (depending on the situation). The government of India is also working to build an all-electric fleet by 2030. The launch of a Faster Adoption and Manufacturing of (Hybrid &) Electric Vehicles (FAME) program would go into phase 2 by April 2019. As part of its contribution, Bosch would provide solutions such as an integrated electrification system including the motor, control unit, battery, charger, display, and an app that can power light two-, three- and four-wheel electric vehicles with up to 20kW. We at Bosch are working towards ensuring a smooth transition to the new emission norms with a tailored product portfolio for the Indian market supporting vehicle manufacturers with local engineering competence - aiming towards realizing the vision of nearly emissions-free mobility. 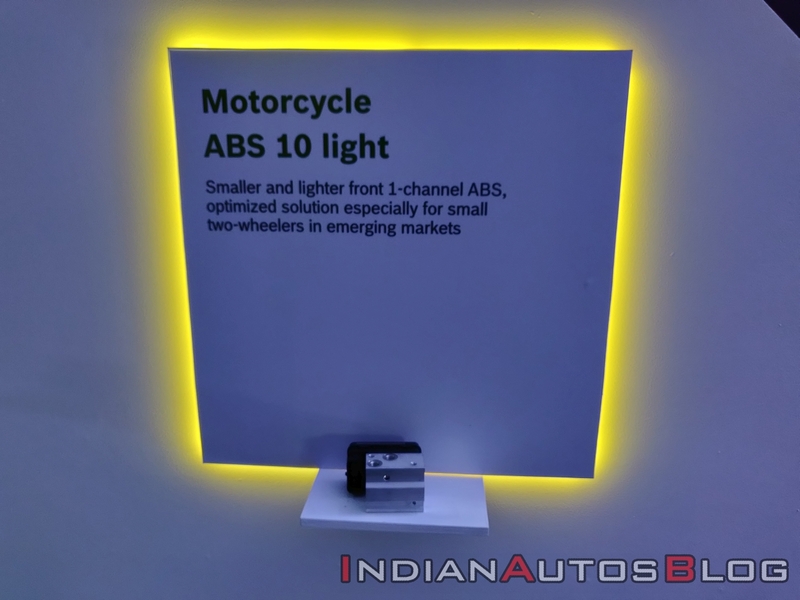 Bosch Motorcycle ABS 10 Light is a single-channel ABS system that is an optimised solution for small two-wheelers in emerging markets. Meanwhile, Bosch’s Two-Wheeler & Powersports Business Unit is inching closer towards the global target of one billion euros in sales in 2020. The target would be achieved by assistance, powertrain, electrification, and connectivity systems.